-- Hair Weight:100±5g per bundle. -- Hair Color:Natural black color,can be dyed and permed. 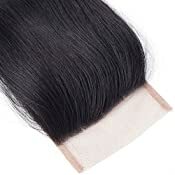 -- Double weft,very clean,natural,soft,comb easily. -- Hair Parting: Free part. -- Hair Color:Natural black color. 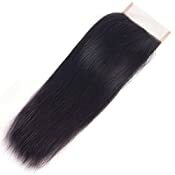 -- Hair Weight:33±2g/closure,swiss lace,Full and Thick. 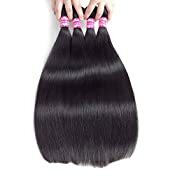 With skilled workers and advanced equiments,we are specilized in producing human hair weave and closures about ten years! 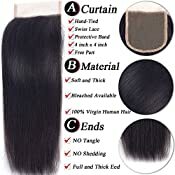 We always provide customers good quality hair with factory direct price,i am sure you will get what you paid for here! 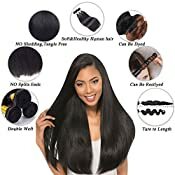 7days no reason return ,but the hair must be orginal state.Just buy without any worries! Q:How many bundles do I need for a Full Head Installation? 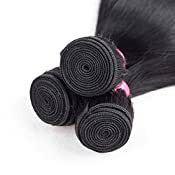 A:Below is our suggestion for your reference pls note one bundle is 100g; If your head size is bigger than standard pls take more than 3pcs hair wefts. A:For the wave hair when measure the hair it should be stretched. Q:How do I wash my hair extensions? A:Wash the hair in one direction. From top to the end do not wash your hair upside down. And use some moisturizing shampoos and conditioners would be better. Unprocessed Virgin Hair Cut from young ladies directly, Full Cuticle Aligned, No Chemical Process. 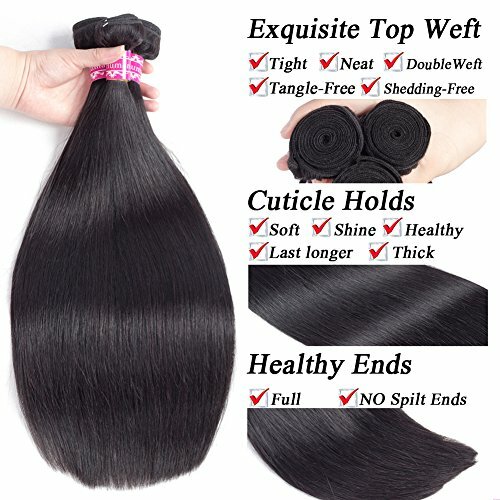 Strong and Well Double Weft Constructed, No Shedding, No Tangle,No lice. Grade 8A, Natural Color, 95-100grams(3.35-3.52oz) Per Bundle. Can be Straightened, Curled, Bleached and Styled as your own hair. Hair waves will last over 1 year under good care. You can change your hair style at any time,reshape your hair to different new waves and keep its original maintenance.